processes; (3) ensure the integrity of ecosys- The theory and practice of ecosystem manage- tems; and (4) advocate the sustainable use of ment is pivotal to the debate over how to sustain the health and productivity of our envi- natural resources. In this book, each of these ronment. In particular, the role of ecosystems four topics is addressed by a set of eight key in preserving biological diversity, their contri- journal articles. The first article in each section bution to economic growth, and their influence provides an overview, followed by case histo- ries and a concluding paper which is a commen- on human well-being is highly controversial tary on the difficulty of the issue or assesses its (Lubchenco et al. 1991). Traditional resource management does not protect natural values future direction. An article by Risser provides a (Sax 1993) or provide for the sustainable pro- closing synthesis to this collection. duction of goods and services (Barnes 1993). The authors of the articles in Part 1-Under- Yet a number of researchers and managers stand Diversity - speak to the current problems further question the ability of science to pro- and directions in the conservation of biological vide sufficiently powerful tools for the under- diversity. 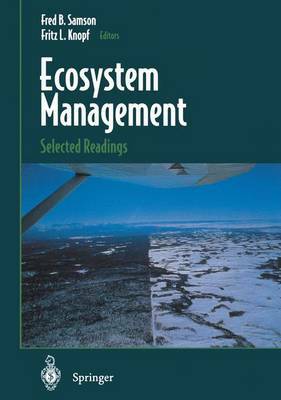 Tilman and Downing argue that standing and implementation of ecosystem preservation of native biodiversity is essential management (Clark 1996).